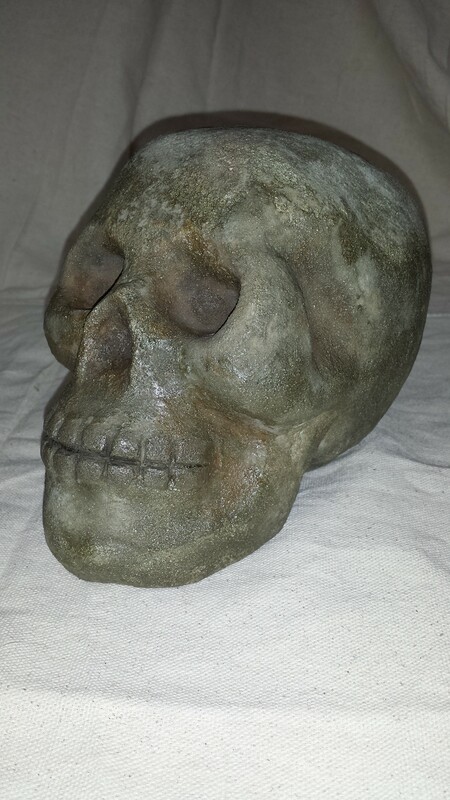 Hollow skull made from concrete. Possible candle holder. 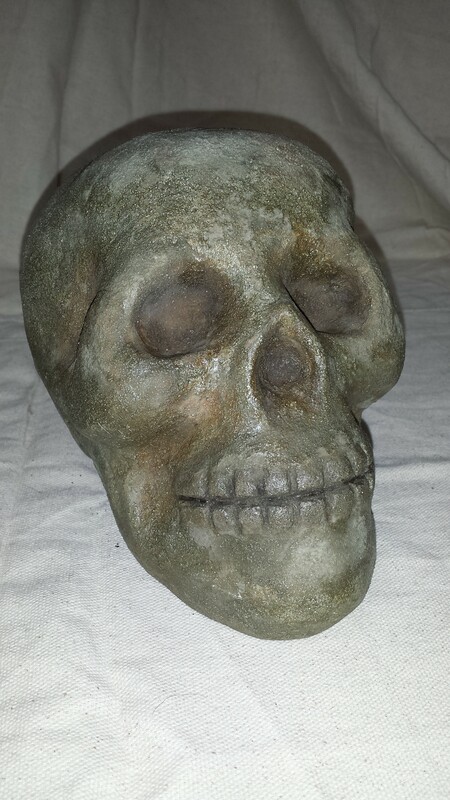 The skull stands 6 inches tall.